You’ve spend all this time and effort making all your loved ones handmade gifts (or you’ve carefully selected something at the store). 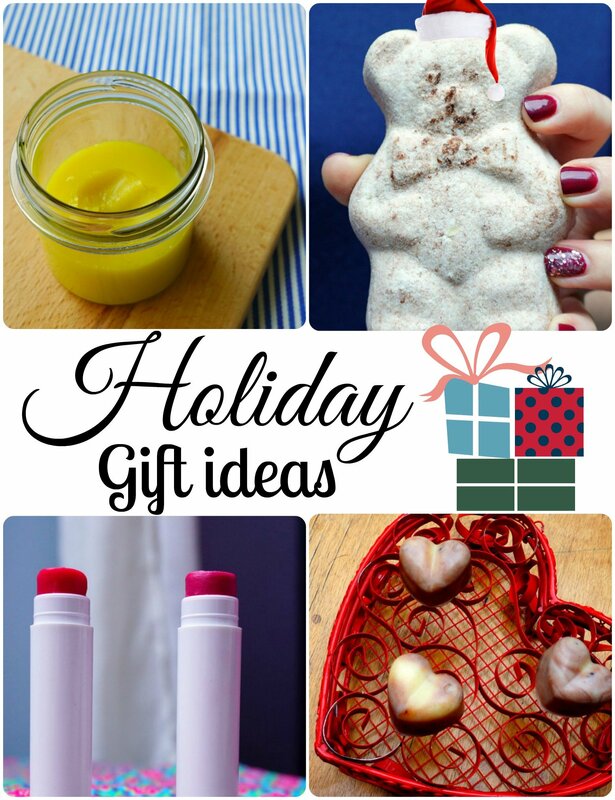 Maybe you tried one of my DIY Christmas gift ideas. 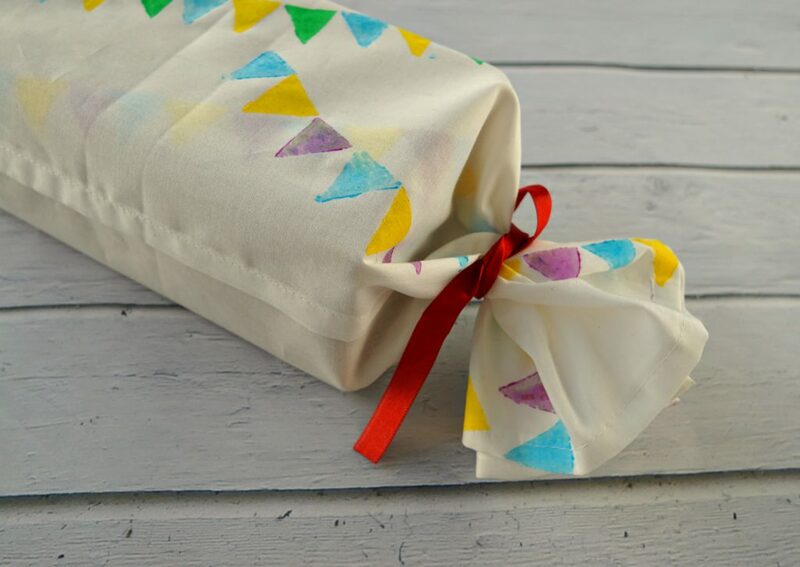 Instead of choosing generic store bought wrapping paper why not make your own personalised gift wrapping?! 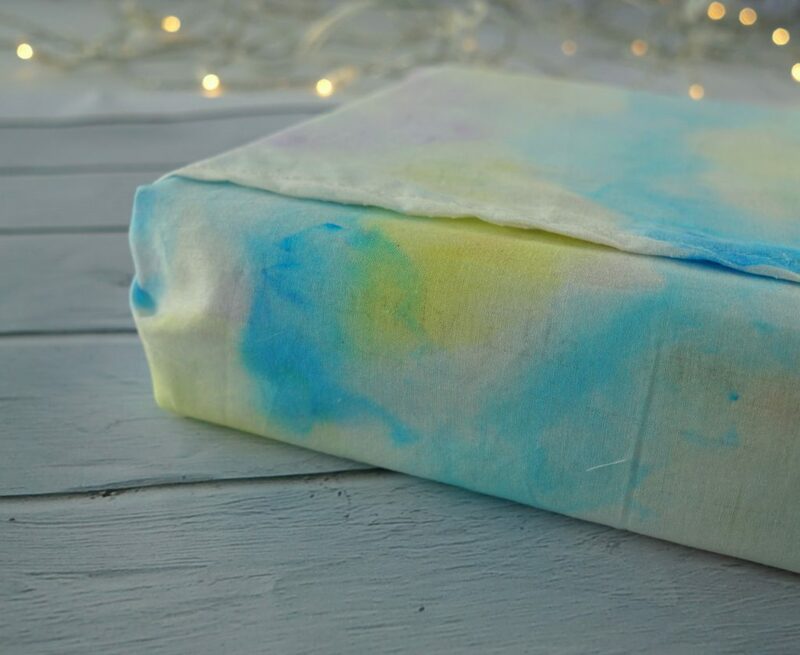 This eco friendly alternative can be re-used over and over again to wrap other gifts or you can use it as a scarf or as decoration. It’s a gift on its own! I bought one yard of a sheer cotton fabric. 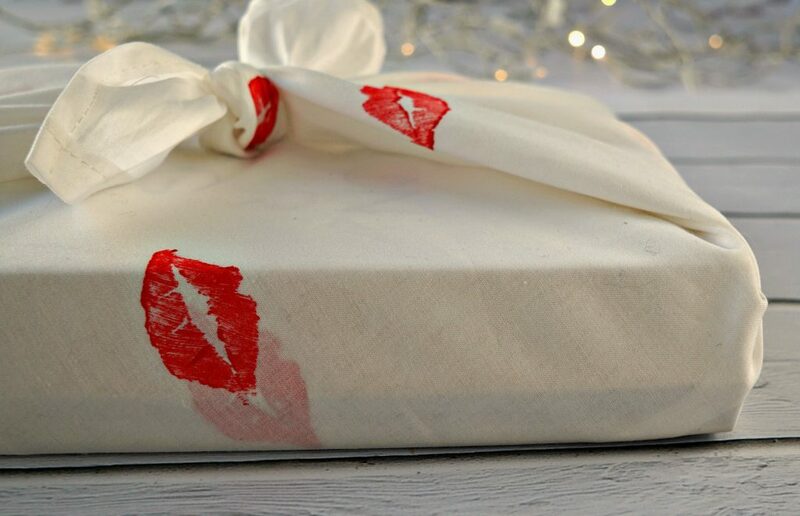 You could choose something a little less see-through, but I like the effect as you wrap it around your gift a few times! I cut the fabric into 4 equal rectangular pieces. For larger gifts make sure you have larger pieces. You can also make them square or hey, why not go for a circular shape? I also hemed all the edges to give each cloth a polished look. If you lack sewing skills you can also look for fabric that doesn’t fray, like a knit fabric. I gave each cloth a different look, inspired by some of my favorite DIYs here on the blog! 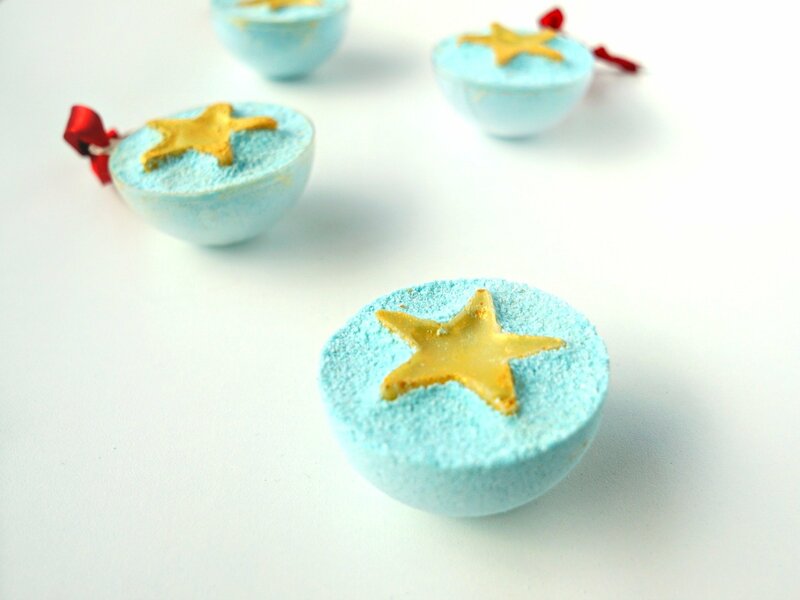 The bunting on this piece was inspired by the pictures for my DIY ‘Birthday cake’ Bath Bomb Melts. And I think this one might be my favorite! 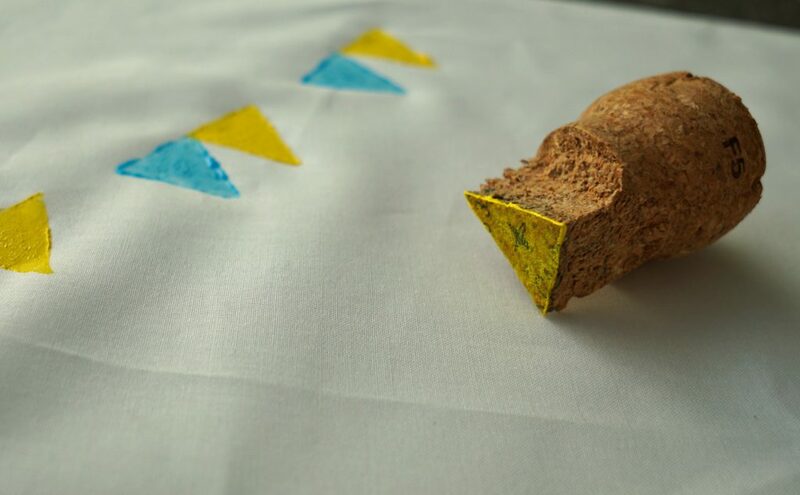 First I carefully cut a triangle out of a cork. Because I’m fancy I used a champagne cork. With a brush I painted a layer of color onto the stamp. I used fabric paint but you can also use acrylic. I first stamped with one color, leaving space between each triangle. Then I moved onto the next color. Next I made a pretty watercolor design with some fabric markers. You can also try this with permanent markers. For this I used the same technique as I did for my DIY Watercolor Shorts. For this next piece I used my favorite stamp. It’s the same one I used for my DIY Lip stencilled Shirt. 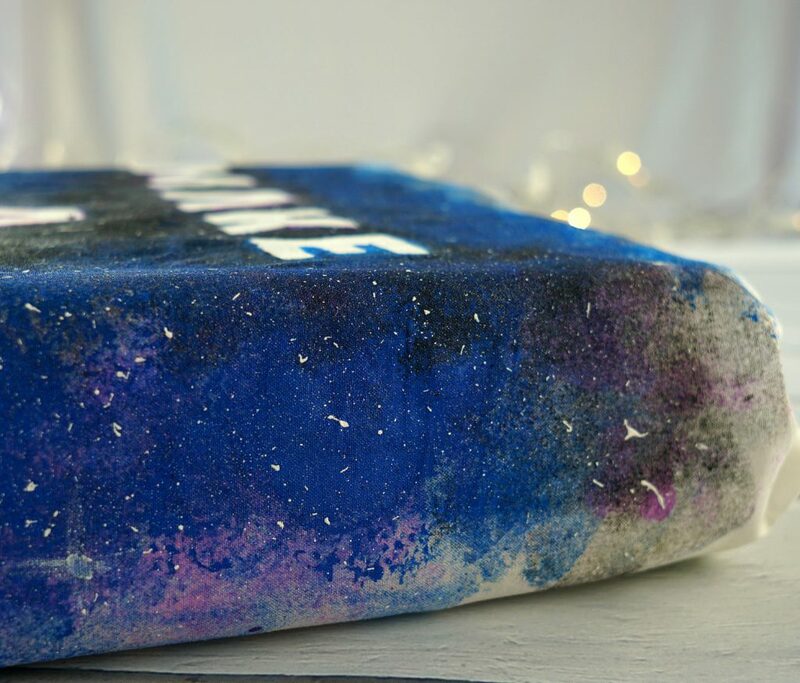 For the last piece of fabric wrapping I decided on a galaxy design. I used the same idea and technique as I did for my DIY galaxy quote shirt. 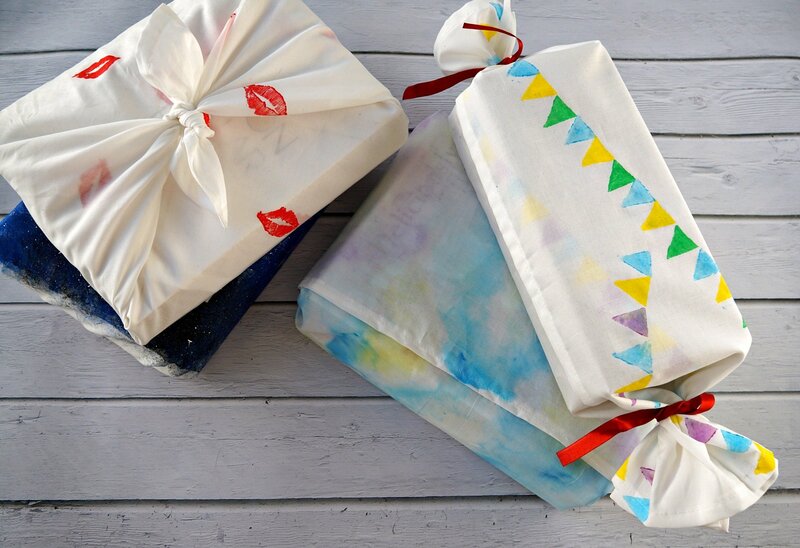 Let each piece dry (obviously) before wrapping your gifts in your handmade gift wrapping. 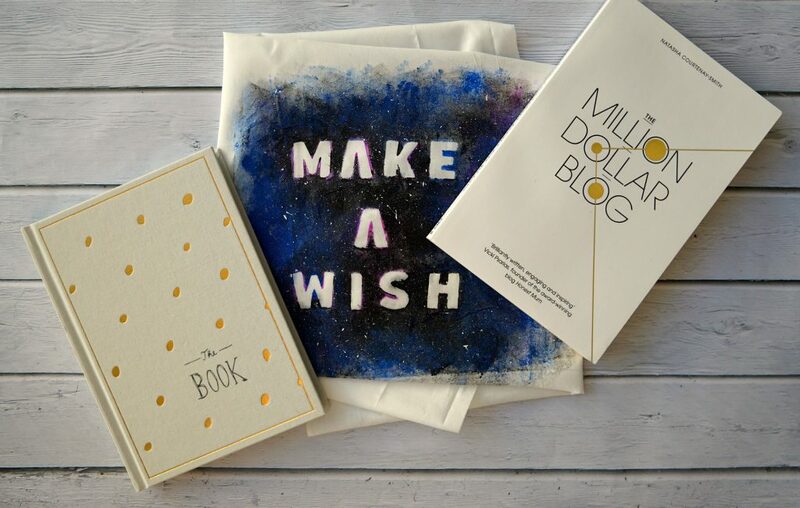 Now there’s only one thing you need to worry about: What will be on YOUR wish list this year? Uhh, loved that make a wish one! Gonna maybe try something like this next time, I’ve already pinned it.